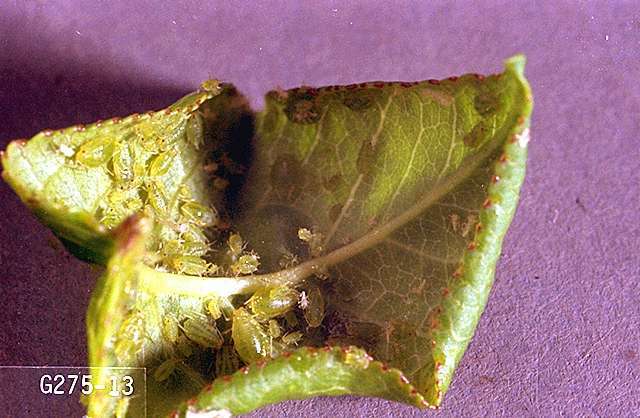 Pest description and crop damage The willow-carrot aphid is green to greenish yellow. 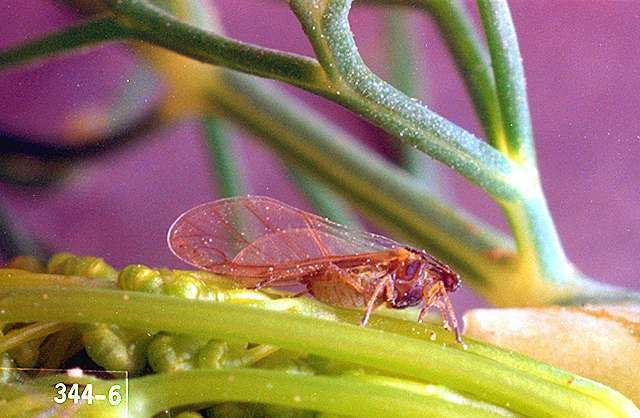 Its primary host is willow, but it feeds on carrot during the summer. 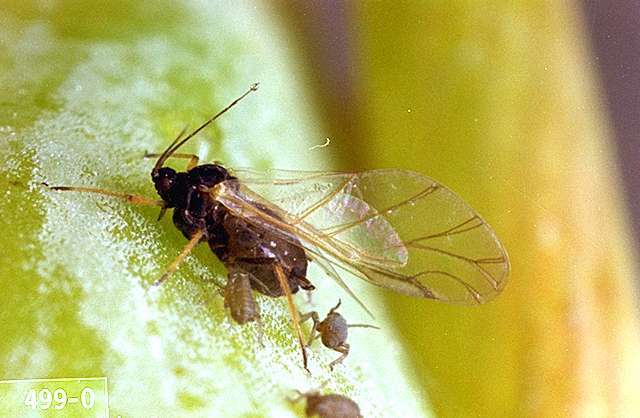 The green peach aphid is slender, dark green to yellow, and has no waxy bloom. 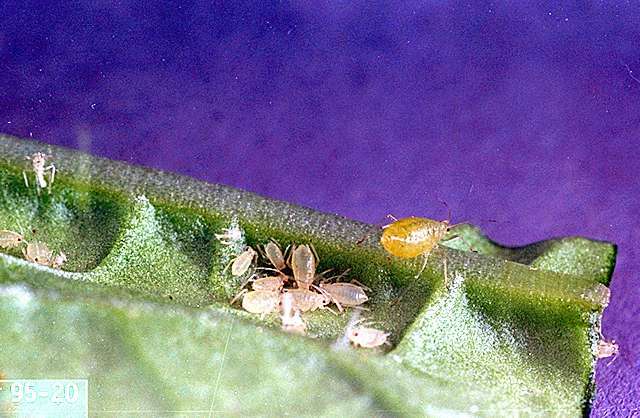 Green peach aphid infestations may result in wilting. 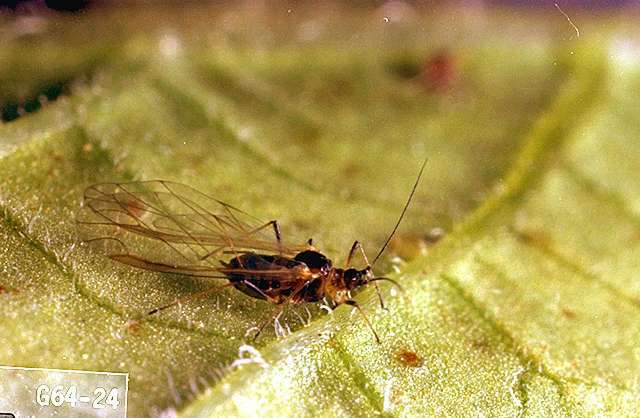 The bean aphid is dark olive green to black with light-color legs. It is usually more of an early-year pest. plant-derived essential oils (rosemary, peppermint etc. )-Have some efficacy against aphids. Some formulations are OMRI-listed for organic use. acephate (Acephate 90 WDG) at 0.5 to 1.0 lb ai/a. PHI 21 days. REI 24 hr. Retreatment interval 7 days. Trim tops. Do not use tops for food or feed. All celery must be trimmed before shipment for use. Do not exceed 2 lb ai/a per year. acetamiprid (Assail 30SG) at 0.038 to 0.075 lb ai/a. PHI 7 days. REI 12 hr. Retreatment interval 7 days. Do not exceed 0.375 lb ai/a or five applications per season. Chenopodium ambrosioides extract (Requiem 25EC) at 2 to 3 quarts formulated product per acre. PHI 0 days. REI 4 hr. OMRI-listed for organic use. clothianidin (Belay) at 0.05 to 0.067 lb ai/a foliar; 0.15 to 0.2 lb ai/a soil. PHI 7 days foliar treatment; 21 days soil treatment. REI 12 hr. Foliar retreatment interval 10 days. Do not exceed 0.2 lb ai/a per season. Do not apply when bees are actively foraging. cyantraniliprole (Exirel) at 0.088 to 0.133 lb ai/a. PHI 1 day. REI 12 hr. Retreatment interval 5 days. Limit 6 treatments per year. Do not exceed 0.4 lb ai/a per year. An adjuvant will improve efficacy. dinotefuran (Scorpion 35SL) at 0.05 to 0.13 lb ai/a as foliar treatment or 0.23 to 0.27 lb ai/a as a soil treatment. PHI 7 days foliar; 21 days soil. REI 12 hr. Retreatment interval 7 days. Do not exceed 0.266 lb ai/a (foliar) or 0.532 lb ai/a (soil) per season. flupryadifurone (Sivanto 200SL) at 0.14 to 0.16 lb ai/a. PHI 1 day. REI 4 hr. Limit 3 treatments per season. Retreatment interval 7 days. Do not exceed 0.365 lb ai/a per season. imidacloprid (Admire Pro) at 0.158 to 0.38 lb ai/a. Soil application only. PHI 45 days. REI 12 hr. Do not exceed 0.38 lb ai/a per season. malathion (Fyfanon 8) at 1 to 1.5 lb ai/a. PHI 7 days. REI 24 hr. Retreatment interval 7 days. Do not exceed 2 treatments per year. pymetrozine (Fulfill) at 0.086 lb ai/a. A penetrating adjuvant improves performance. PHI 7 days. REI 12 hr. Do not exceed 0.17 lb ai/a per season. Retreatment interval 7 days. spirotetramat (Movento) at 0.06 to 0.08 lb ai/a. PHI 3 days. REI 24 hr. Retreatment interval 7 days. Do not exceed 0.16 lb ai/a per season. sulfoxaflor (Closer SC) at 0.023 to 0.031 lb ai/a. PHI 3 days. REI 12 hr. Limit 4 treatments per crop. Retreatment interval 7 days. Do not exceed 0.266 lb ai/a per year. thiamethoxam (Platinum) at 0.078 to 0.172 lb ai/a. Soil application only. PHI 30 days. REI 12 hr. Do not exceed 0.172 lb ai/a per season. tolfenpyrad (Torac) at 0.17 to 0.21 lb ai/a PHI 1 day. REI 12 hr. Limit 4 applications per year; 2 per crop cycle. Retreatment interval 14 days. Do not exceed 0.42 lb ai/a per year.